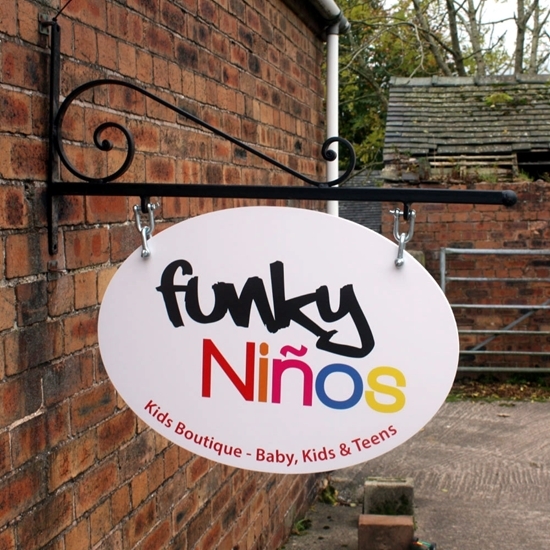 A traditional double sided advertising sign with a wrought iron hanging bracket. Personalised double sided PVC sign, any text /logo you like. This oval shaped sign and decorative wrought iron hanging bracket(black only) can be produce in any colour, style or layout to suit your business. Any logo or lettering or photo can be added. Please send any images over to sales@jafgraphics.co.uk or use the file uplad button.